Laynie Browne is author of thirteen collections of poems and three novels. Recent books include You Envelop Me (Omnidawn, 2017), Periodic Companions (Tinderbox, 2018) and The Book of Moments (Presses universitaires de Rouen et du Havre, 2018). Her honors include a 2014 Pew Fellowship, the National Poetry Series Award (2007) for her collection The Scented Fox, and the Contemporary Poetry Series Award (2005) for her collection Drawing of a Swan Before Memory. Her poetry has been translated into French, Spanish, Chinese and Catalan. She teaches at University of Pennsylvania and at Swarthmore College. Writing can be entering another stream of time & meditation may also be entering or attempting to enter another stream of time. Unbound from constraint. Time as we live, non-sequential, weighted, sinuous, elusive. Gift. Consciousness. The title, « The Book of Moments », in itself, is an attempt to bring awareness to our consciousness, in each moment, to be cognizant that our lives of made of moments, this moment. More specifically, in this book (often concerned with grieving and loss) mediation is linked to dreaming as a source. Writing through dreams as a meditative process, an attempt to make use of the common resource of dream sense. When waking life is unfathomable, dream life becomes even more inevitable and invaluable. So with that in mind I’ve chosen a selection from this book today highlighting dreaming and the relation between writing and contemplative practice. 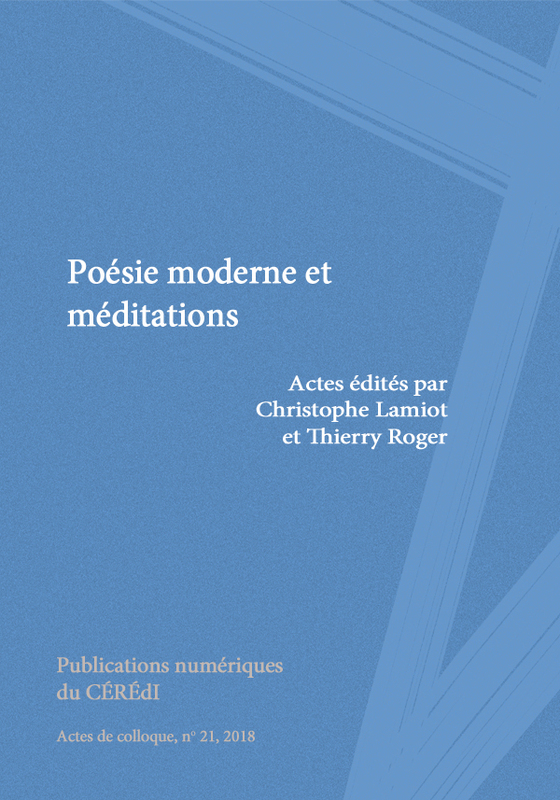 Laynie BROWNE, « Thoughts on Meditation and Writing » in Poésie moderne et méditations, Actes des journées d’étude organisées à l’Université de Rouen les 21 mars 2017 et 19 mars 2018, publiés par Christophe Lamiot (ÉRIAC) et Thierry Roger (CÉRÉdI).